Richard Martinez and his brother George served together during the first Gulf War. Now the two are serving together in a different kind of endeavor - franchising. The two brothers are busy putting the finishing touches on their new Russo's Coal Fired Italian Kitchen location in Tulsa, Oklahoma. Richard Martinez served in the US Air force from 1983 to 1989 where he was stationed in the US as well as overseas in Korea. George served in the US Marines from 1988 through 1994. He was in the first Gulf War with the 2nd Marines. The two vets have undergone a smooth process in preparing to open their business. They received a Small Business Administration bank loan and jointly invested their own money in order to open their franchise. "If this Russo's Coal Fired Italian Kitchen does well, then we will open up several more franchises in Oklahoma," says Richard. The brothers are also partners, and the majority business owners, in a manufacturing company that makes drilling fluid filters used in the oil and natural gas industry. They have a 3,500-square-foot facility they own in Oklahoma, and they spend their primary time running that business. They were looking for a way to diversify and capitalize on Richard's 20 years of restaurant experience when they discovered the Russo's concept. It was a business Richard understood and felt comfortable opening on his own. He says he liked the way it was set-up, enjoyed the high quality of food, and the cost of entry to start a business of his own. Because of their military background, they have the qualities and characteristics it takes to open and operate their own restaurant business. The discipline, hard work ethic, and camaraderie they learned while serving their country will undoubtedly contribute to the success of their business. 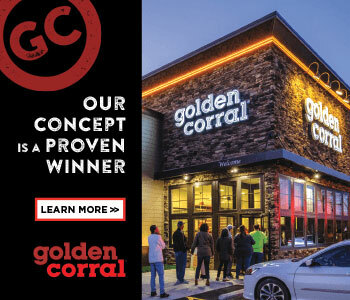 Their restaurant is expected to open in April 2013 and the partners plan to hire approximately 40 employees.